A two-time winner of the prestigious British Fantasy Award, Mark has published his epic, imaginative novels in many countries around the world. He grew up in the mining community of the English Midlands, and was the first person in his family to go to university. After studying Economic History at Leeds, he became a successful journalist, writing for several of the UK’s renowned national newspapers as well as contributing to magazines and TV. When his first short story won Fear magazine’s Best New Author award, he was snapped up by an agent and subsequently published his first novel, Underground, a supernatural thriller set in the coalfields of his youth. 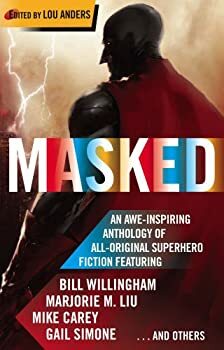 Quitting journalism to become a full-time author, he has written stories which have transcended genre boundaries, but is perhaps best known in the fantasy field. 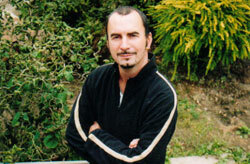 Mark has also forged a parallel career as a screenwriter with many hours of produced work for British television. He is a senior writer for BBC Drama, and is also developing new shows for the UK and US. CLICK HERE FOR MORE BOOKS BY MARK CHADBOURN. 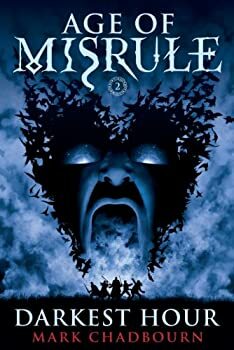 Age of Misrule — (1999-2001) An omnibus edition is available. Publisher: When Jack Churchill and Ruth Gallagher encounter a terrifying, misshapen giant beneath a London bridge they are plunged into a mystery which portends the end of the world as we know it. All over the country, the ancient gods of Celtic myth are returning to the land from which they were banished millennia ago. Following in their footsteps are creatures of folklore: fabulous beasts, wonders and dark terrors. As technology starts to fail, Jack and Ruth are forced to embark on a desperate quest for four magical items — the last chance for humanity in the face of powers barely comprehended. 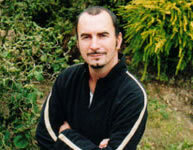 World's End is the first book in British fantasy author's Mark Chadbourn AGE OF MISRULE trilogy. The novel was originally released in the UK in 1999, and has been re-released in the US by Pyr in 2009. World's End can probably best be categorized as dark contemporary fantasy. The setting is England, in more or less the present day. Jack Churchill ("Church") lives in London and is trying to cope with the apparent suicide of his girlfriend Marianne. Returning home one night, he has a terrifying encounter under a bridge with a giant whose face seems to melt and change before his eyes. Ruth Gallagher, a lawyer, is also a witness. Both of them pass out, unable to deal with this terrifying vision, but in the next few days, they are drawn together to find out more about what happened. 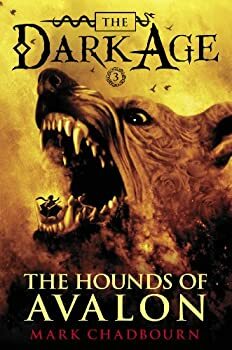 Darkest Hour is the second book in Mark Chadbourn's AGE OF MISRULE trilogy. As often is the case, the middle book in the trilogy is the darkest one, and if the title didn't give it away, Darkest Hour is no exception. Thankfully, the novel contains enough excitement to make it a thrilling read that should please fans of the first book. Always Forever is the third novel in the AGE OF MISRULE trilogy by Mark Chadbourn, and at the start of this final installment, things definitely aren't looking up. As Darkest Hour ends, the five Brothers and Sisters of Dragons are scattered and broken, and the dark god Balor is loose in the land again. If the five heroes can't somehow stop Balor by the festival of Samhain, when he comes into his full powers, it may spell the end of humanity. 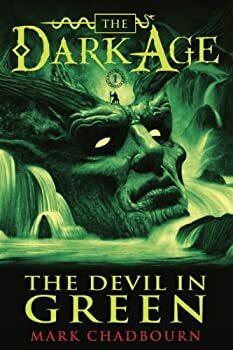 The Devil in Green takes place shortly after the end of Always Forever, the final book in Mark Chadbourn's Age of Misrule trilogy, which described the return to our lands of legendary creatures and gods, so old and powerful that their memories became the basis for many of our myths. 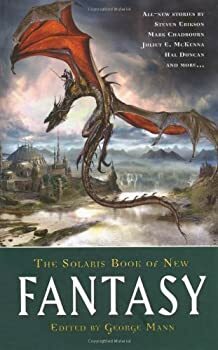 Now the final battles are (seemingly) over, and humanity slowly tries to come to terms with the realities of the new Dark Age, society as we know it is practically gone: electricity, fuel and communication are virtually non-existent, and the Tuathe De Danaan are still abroad. 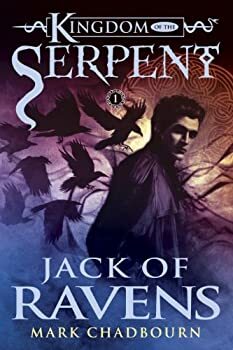 Kingdom of the Serpent — (2006-2008) Publisher: Archaeologist Jack Churchill wakes to find himself in the Iron Age, with the memory of how he got there fading fast. All he knows is that the woman he loves is waiting for him — in the twenty-first century. 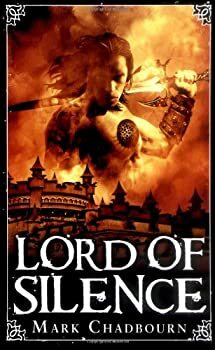 By shifting to the timelessness Otherworld known as T’ir n’a n’Og he can while away the days, the years, the millennia, until his own era rolls around again… but nothing is ever that simple. There is a malign intelligence also waiting, and it will do anything it can to prevent Jack’s return. 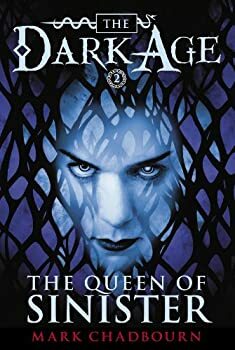 In a universe where time and space are meaningless, its tendrils stetch back through the years… Through Roman times, the Elizabethan age, the Renaissance, Victoria’s reign, the Second World War to the Swinging Sixties, the Evil sets its traps to destroy Jack. 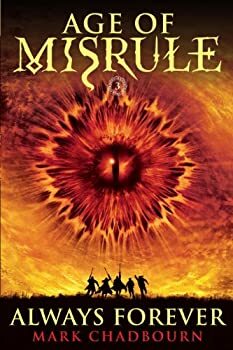 Mark Chadbourn gives us a high adventure of dazzling sword fights and apocalypic wars in the days leading up to Ragnarok, the End-Times: a breathtaking, surreal vision of twisting realities where nothing is quite what it seems. I’m one of those people who is a diehard fan of anything Celtic. 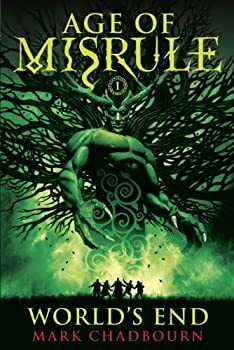 All you really have to do is say, “Hey, Sarah, this book is obviously inspired by Celtic lore/legend/traditions/etc” and I’m there. So when Pyr emailed me about Mark Chadbourn’s Jack of Ravens, and I saw “Celtic” in the description, I knew I had to read it. Seriously, that’s all it took. Yeah, I’m discerning like that. Swords of Albion — (2009-2012) Publisher: A devilish plot to assassinate the queen, a cold war enemy hell-bent on destroying the nation, incredible gadgets, a race against time around the world to stop the ultimate doomsday device… and Elizabethan England’s greatest spy! Meet Will Swyfte — adventurer, swordsman, rake, swashbuckler, wit, scholar and the greatest of Walsingham’s new band of spies. His exploits against the forces of Philip of Spain have made him a national hero, lauded from Carlisle to Kent. Yet his associates can barely disguise their incredulity — what is the point of a spy whose face and name is known across Europe? But Swyfte’s public image is a carefully-crafted façade to give the people of England something to believe in, and to allow them to sleep peacefully at night. It deflects attention from his real work — and the true reason why Walsingham’s spy network was established. A Cold War seethes, and England remains under a state of threat. The forces of Faerie have preyed on humanity for millennia. Responsible for our myths and legends, of gods and fairies, dragons, griffins, devils, imps and every other supernatural menace that has haunted our dreams, this power in the darkness has seen humans as playthings to be tormented, hunted or eradicated. But now England is fighting back! Magical defences have been put in place by the Queen’s sorcerer Dr. John Dee, who is also a senior member of Walsingham’s secret serviceand provides many of the bizarre gadgets utilised by the spies. Finally there is a balance of power. But the Cold War is threatening to turn hot at any moment… Will now plays a constant game of deceit and death, holding back the Enemy’s repeated incursions, dealing in a shadowy world of plots and counter-plots, deceptions, secrets, murder, where no one… and no thing… is quite what it seems. 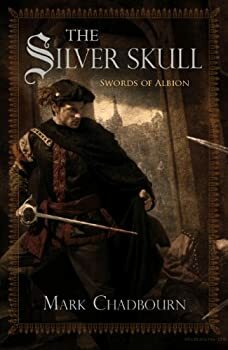 There are times when you read a book that’s so amazing to you that you feel the author had you personally in mind when they wrote it, that’s exactly how I feel about Mark Chadbourn’s The Silver Skull.